Kia Picanto is a smart design car produced by the Kia now available in Sri lanka. 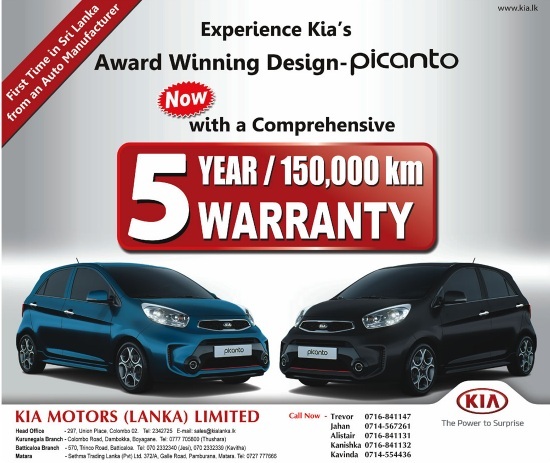 Picanto is available as a 5 door hatchback, marketed in Sri lanka by KIA MOTORS (LANKA) LTD. Kia Picanto offers superior interior 5 speed manual or 4 speed automatic/CVT transmission. Kia Picanto Third generation is now back to the action and i think next few months this car will popular in the country. 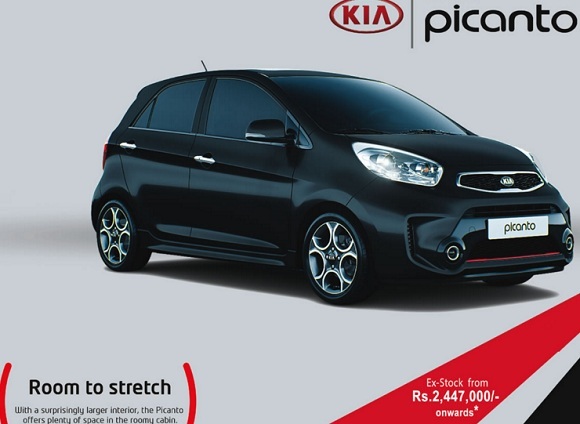 This is the latest Kia Picanto price in Sri lanka. 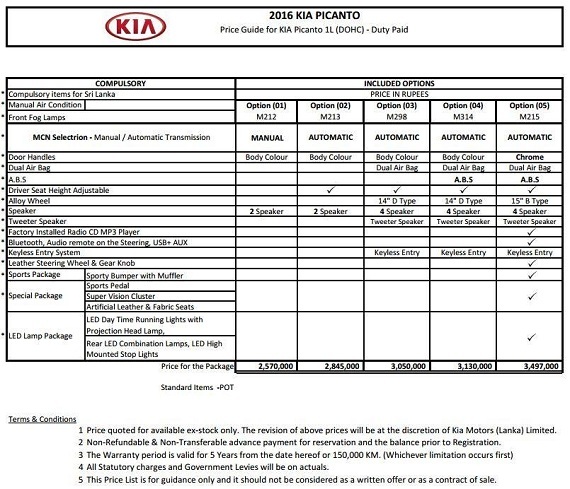 How much Kia picanto in 01 of june, 2016?? Does it have a good second hand market?